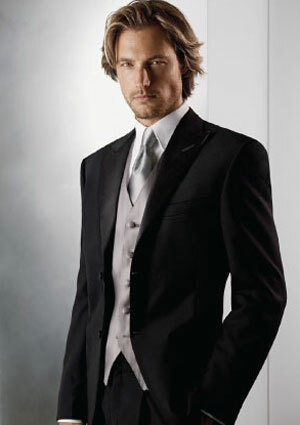 "Win FREE Tuxedos Rentals for Your Wedding Day"
1. Eligibility: Open only to legal US residents in Massachusetts, New Hampshire, Maine and Rhode Island who are 18 years of age or older as of date of entry. 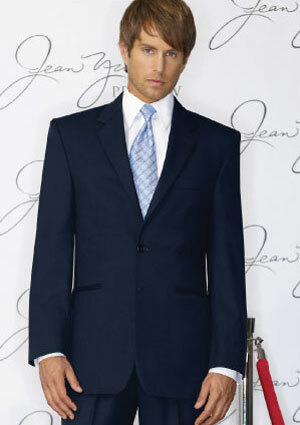 Employees of Classic Tuxedo ("Sponsor"), and its affiliates, divisions, retailers, subsidiaries, and all coordinating agencies for the "Win FREE Tuxedo Rentals For Your Wedding Day", and the immediate families of each, or persons living in the same household of such employees are not eligible. Sweepstakes is governed by U.S. law and is subject to all federal, state and local laws. Void where prohibited, taxed or restricted. By entering the Sweepstakes, participant agrees to be bound by these Official Rules and the decisions of judges, administrators and Sponsor, which shall be final in all respects, and to release Sponsor and its affiliates, divisions, subsidiaries, and all coordinating agencies from any and all liability, claims or damages arising out of their participation and the acceptance and use of any prize. 2. How to Enter: Different monthly sweepstakes will begin on January 1, 2007, and end on December 31, 2007. On-Line Entry: Eligible entrants may elect to enter this Sweepstakes on-line by visiting www.classictuxedo.com, filling out and submitting the on-line entry form. Limit of one entry per household address regardless of means of entry. Submission of more than one (1) entry will result in disqualification from the Sweepstakes drawing. 3. 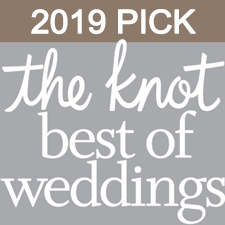 Prizes & Approximate Retail Value: One (1) winner will receive up to six (6) free tuxedo rentals for the prize winner's wedding party (each rental includes coat, pant, shirt, & basic accessories) from a participating Classic Tuxedo retail location. All tuxedos must be returned the day after use. Approximate retail value: $600.00. Note: if entrant has not registered his/her wedding party with Classic Tuxedo prior to award of prize, winner will receive one (1) free tuxedo rental (rental includes coat, pant, shirt & basic accessories) at an approximate retail value of $100.00. 4. Random Drawing & Certain Restrictions: On or about the 26th of each month, a random drawing will be conducted from among all valid entries on-line submitted by the entry deadline. The random drawing will be conducted by an independent judging organization selected by the Sponsors. Odds of winning a prize depends upon the number of valid entries received. Winners will be notified by mail or by phone on or about the 28th of each month. Grand Prize winner may be required to sign an Affidavit of Eligibility/Release of Liability/Consent to Use/Prize Acceptance Form/Publicity and Advertising Consent and Release (except where prohibited by law) and such other documents reasonably required by Sponsor in connection with Sponsor's use of Grand Prize winner's name, likeness, and biographical information without compensation. All such documents, if issued, must be signed and returned within fourteen (14) days of prize notification or prize will be forfeited and an alternate winner selected. Grand Prize must be used within the time period specified by the Sponsor or prize will be forfeited. 5. General Terms and Conditions: Prize cannot be assigned or transferred. No prize substitution is permitted, except at Sponsor's sole option. No cash substitution will be allowed for any prize. Use of computer programs and other automatic means to enter sweepstakes is prohibited. Sponsor may also ask optional questions on the registration page or entry form, but completion of these optional questions is not required to enter the sweepstakes. Sponsor assumes no responsibility for any error, omission, interruption, deletion, defect, delay in operation or transmission, communications line failure, theft or destruction or unauthorized access to, or alteration of, entries. The Sponsor is not responsible for any problems or technical malfunctions of any telephone network or lines, computer online systems, servers, or providers, computer equipment, software, failure of any e-mail or entry to be received by Sponsor on account of technical problems or traffic congestion on the Internet, or at any web site, any combination thereof, or otherwise, including any injury or damage to entrant's or any other person's computer related to or resulting from participation or downloading any materials in the sweepstakes. Entries become the property of Sponsors and the names of participants may be retained on Sponsor's mailing list for future contacts. No correspondence or other inquiries regarding entries will be accepted. Void where prohibited.